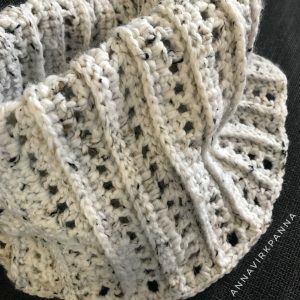 We still haven’t got the really cold Winter temperatures here in south Sweden (and I hope we don’t 😉) but this cozy cowl is perfect to use with our temperatures around zero as well. 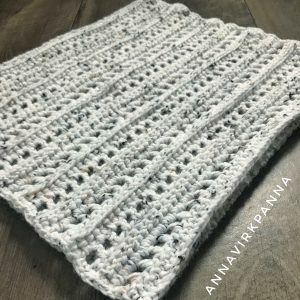 This is a versatile pattern, you can add rows to make a regular scarf or make it wider and longer to have a cozy blanket. 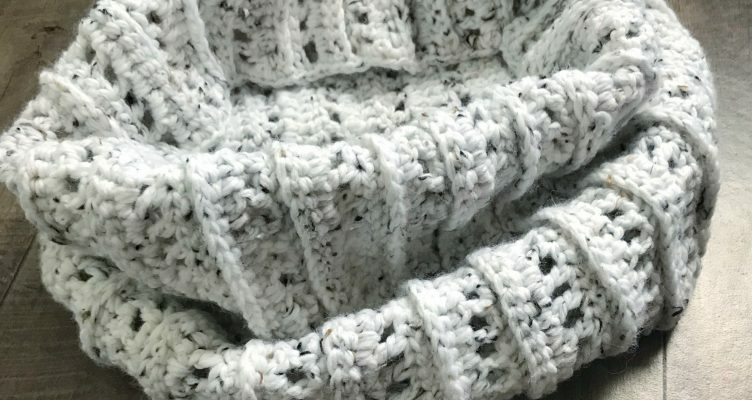 The yarn Kartopu Melange Wool Tweed is so soft and cozy to work with. If you never tried it I really think you should. It has become a favourite of mine.